General Manager John Elway still has a variety of positions of need to target in Day 3 of the NFL Draft. 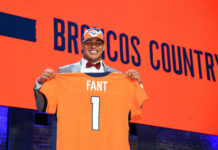 The Denver Broncos are slated to make four picks Saturday and after selecting a pair of players for both the offense and defense in the first three rounds, their options are wide open. Here are four areas that the Broncos may look to target on Day 3 of the 2018 NFL Draft. First and foremost, the team could certainly benefit by adding another quality offensive lineman. General manager John Elway picked up offensive tackle Jared Veldheer in a trade with the Arizona Cardinals, but it is unknown how he is going to handle the transition to playing on the right side of the field and depth is still certainly a question in the trenches. 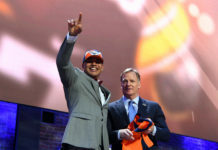 After losing Corey Nelson, who signed with the Philadelphia Eagles as a free agent this offseason, linebacker is definitely a position that the Broncos may look to address. Nelson only made six starts in three seasons in Denver, but he appeared in all 48 contests. With Nelson no longer in the picture, the defense will be heavily relying on Brandon Marshall to stay healthy on the inside. Zaire Anderson has looked good in flashes but adding another inside linebacker to the roster would be big for depth in the middle and would complete a very stout front-seven. Denver passed on selecting a quarterback in the first three rounds, showing they have confidence in Case Keenum as the team’s starter. However, the fact that Keenum only signed a two-year deal, combined with Paxton Lynch’s struggles, leaves the door for adding another young QB wide open. Kyle Lauletta is still on the board and the former Richmond QB would be an interesting pick for the Broncos to consider. Lauletta is a poised passer from the pocket and threw for over 10,000 yards and 73 touchdowns during his collegiate career. 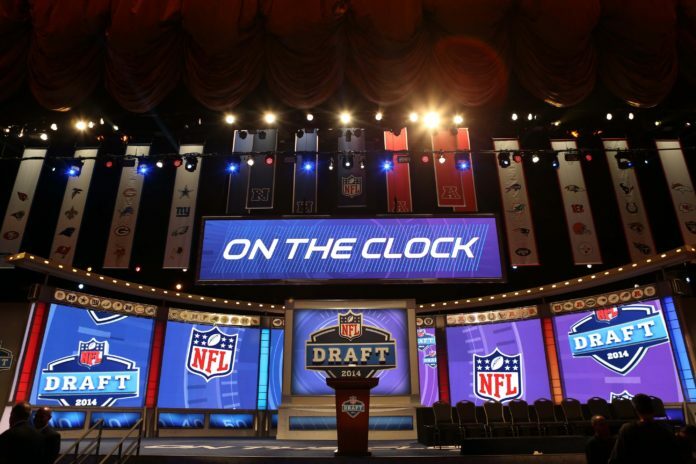 Although unlikely, drafting a kicker would not be as crazy as it may seem. The Broncos are clearly looking to get more from the special teams units this season and adding somebody to compete with Brandon McMannus is a realistic option if they want to shake things up even more. The Broncos already signed Marquette King after spending a draft pick on Riley Dixon in 2016. Brandon McMannus’ inconsistencies were a real issue in 2017. So, do not be surprised if they decide to bring in a younger, cheaper leg to evaluate this summer.